To learn more about technology and trends within the Martech field, subscribe to our blog. Google Analytics is a free platform for analyzing the traffic on your website. It features a wealth of useful reports and the ability to segment data to extract valuable insights about your website’s performance. Why do I need Google Analytics? Simply put, if you don’t measure something, you have no idea how to improve it. Since your website is often your most important marketing asset available, you can’t reliably optimize it to drive more revenue If you don’t have any idea of how it’s performing. How do I get started with Google Analytics? Getting started is incredibly easy and simple. You can simply go to google.com/analytics and click on the tab to “sign up for free.” After following their straightforward instructions, you will be provided with a unique code to place on your website, which will equip you to start measuring traffic. To add this code to your website, you will need to copy and paste it before the closing head tag right before the point in the code that says </body>. If you are using an HTML site, don’t forget to save the change. Installing Google Analytics for Wix is an even easier process. You’ll need to sign into your admin account, click on domains in the user panel, click on your domain. and then click “Analytics”. Once you are there, simply paste the code into the Google Analytics field and click submit. For WordPress, installing Google Analytics can be done a few different ways, but I feel the easiest way is to pick a plugin, such as Google Analytics for WordPress by MonsterInsights (formerly Yoast). Once you install that plugin, you can activate and authenticate the configuration within your Google Analytics account, and they’ll even provide a few guided steps along the way. And don’t forget, (as always) save your changes! Great! I have Google Analytics on my site. Now what? Next, you’ll need to wait 24 hours before the analytics code starts aggregating data. Then, once this 24-hour period passes, you will have the ability to analyze all that sweet data. Organization of your data will be key. Once the code is activated, you will be introduced to 3 levels within GA (Google Analytics): (1) account (2) property, and (3) views. You should be able to access all three categories within the upper left-hand corner of the screen, next to “All Web Site Data” with an arrow. When you click on the arrow, you’ll see “Analytics Accounts” which refers to the specific email that is tied to your Google login. Then “Properties & Apps” refers to your website domain(s), where you may have multiple disparate sites. And then “views” is an area where data can be filtered in different ways, but your first view should be labeled as “All Web Site Data”. You don’t want to mess with this. Once you put in filters and delete the original setting in this specific area, it cannot be reverted back, meaning you won’t be able to recover this data. Instead, when you are in the “views” section, I recommend setting up filters to create specific targets views that interest you. There are tons of options and you will probably want to set up a good number of them to help drive your decision-making processes. For example, there may be a specific geographic area of interest. Or, you may want to exclude your own company’s IP addresses. You will have plenty of options here. What can you learn from Google Analytics? A lot! GA equips you with so many options for viewing data in different ways across different parameters. You will have the ability to view the device, location, traffic sources, content, demographics and much more. Plus, you can view real time data to see how many people are on your website right now. You can also use multiple variables to view how many men in Romania under the age of 50 viewed your website at noon on a Thursday via their Android phones if you were so inclined. While that may not be the most typical custom view someone may set up, you do have the ability to create this view by using multiple “dimensions”. Some other things worth considering are (1) bounce rate, (2) exit pages and (3) goal completion. 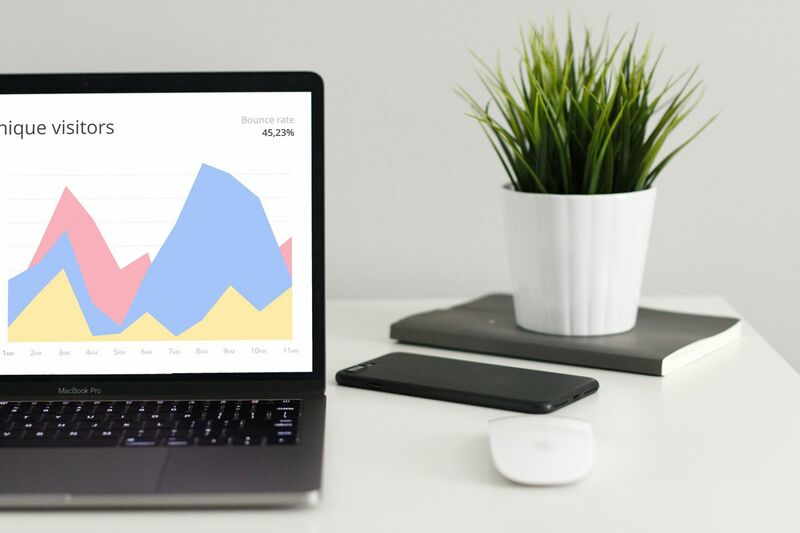 These web metrics are logical places to start if you are looking to make improvements, as they indicate where you are struggling to convert your website visitors. The “bounce rate” will show how often someone clicks on a page and immediately leaves the page or hits the back icon in their browser. This is a good sign that your content is not what they searched or it failed to meet their expectations. If a website visitor leaves your website entirely, then this refers to an “exit page”. Exit pages often indicate a weakness and if you see a lot of visitors exiting on the same page, it’s a good sign that the page has problems. Make sure you use secondary dimensions with these reports to see if people are leaving en masse due to issues with mobile friendliness (Device dimension), cultural or language issues (Location/browser language dimension) or if the search they entered doesn’t match your content. Then “goal completion” is a custom field that you must set up, such as filling out a form, completing a purchase or signing up for a newsletter. The goal completion will help you quantify and track a specific area of progress. While every website needs to be an information center, commercial websites especially need to prompt actions that will drive revenue. You’ll need to keep this in mind when setting and reviewing your website goals, as they will need to align with your business objectives. Note this is just an introduction, so you will have to dig deeper to get really into GA. There is a wealth of YouTube videos, guides as well as the GA academy that will provide you with a much deeper understanding of what you can do and how to do it. Why, yes we do. And you may be asking yourself why we would be providing a guide to GA when we create our own analytics and tracking platform as well. Google Analytics is a great tool for anyone who has a website. It allows you to view the crowd of its visitors and see how the herd acts when aggregated on your site. Our tool, The Marketing Manager by Mirabel Technologies, lets you see the faces in the crowd. Specifically, we are able to identify the individuals (with contact information) who visit your site and provide valuable background for you to follow up with them. Also, we use a permanent tracking technology whereas GA is cookie based. Visitors tracked via cookies can disappear and reappear on your radar without you ever knowing it was the same person. With Mirabel’s Marketing Manager, we let you know the person by name and provide a permanent audit trail of every single interaction they ever have with your site and even your sales team. Therefore, we view the two tools (GA and The Marketing Manager) as complimentary; GA shows the how the overall public is interacting, and The Marketing Manager pull sales-ready leads from your website. In doing so, your salesforce will be armed with vital info for their first call. They both have value and both have their place. If you want to learn more about our tool and what we can offer, feel free to contact us for a demo or request a free trial. Ready to close more deals with less effort? 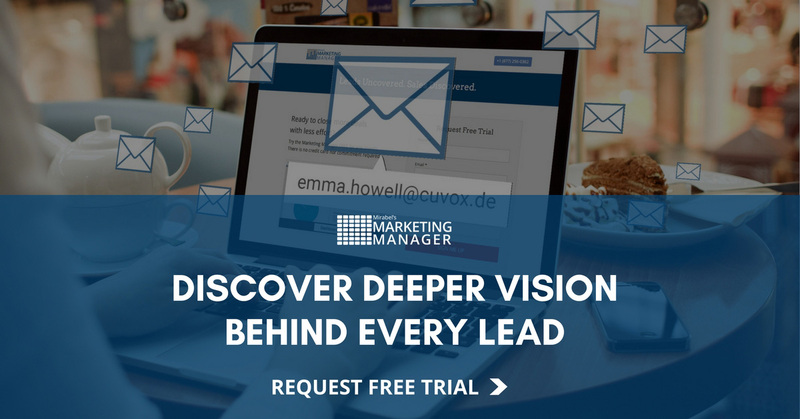 Try the Marketing Manager FREE for one month.